One of a series of famous mountains done for an initial book cover design. 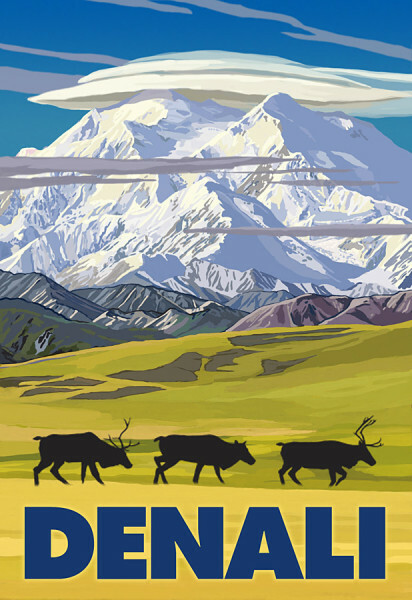 Denali was its original name. President Obama risked the wrath of the Right Wing by recently officially reverting its name from Mt. McKinley to the original Denali. Maybe Trump will change it back.